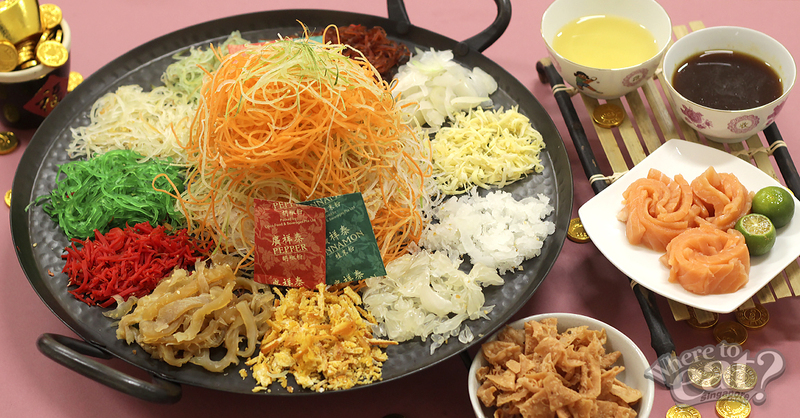 Don’t we all love the excitement and fun as we toss our lo hei as high as possible? 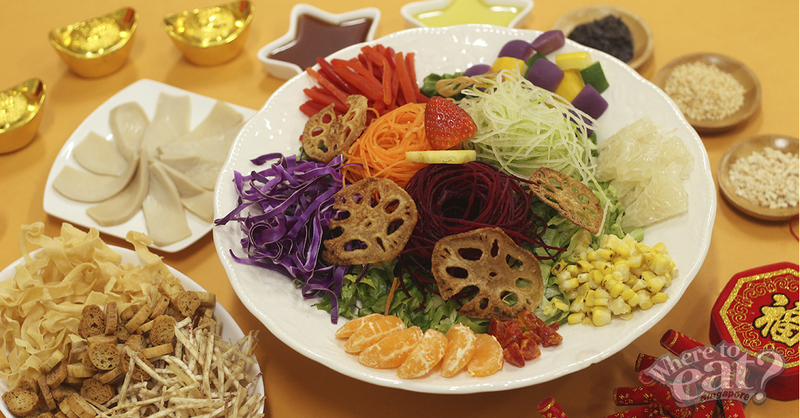 Usually served as an appetizer, Lo Hei is also known as Yu Sheng – a vibrant raw fish salad that can be seen in almost every Chinese household during the Lunar New Year. 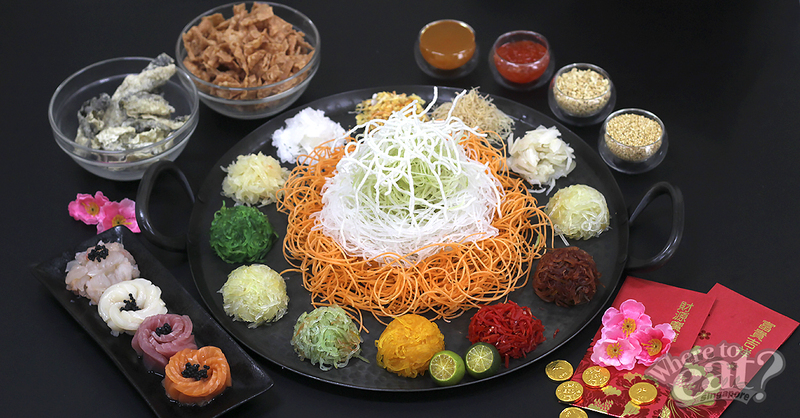 Since the festive season is all about home visits, we think these 11 Yu Sheng options could add moments of fun and laughter as you and your loved ones DIY your own lo hei in the comfort of your home! It’s all about basking in luxury! Choose between Wan Hao’s traditional Yu Sheng sauce or kumquat sauce for your Peak of Prosperity Lobster, Scallop, Salmon, Tuna Caviar, Caviar and Crispy Fish Skin Yu Sheng with Kumquat Sauce that caters well to your taste buds, especially for the sashimi lovers. Available for dine-in or takeaway. Elevating the traditional lo hei with its Norwegian Salmon Yu Sheng is Chef Wong Hong Loong’s homemade dressing – a combination of distinct plum sauce blended with marinated pickle chili and special pandan leaf infused oil that is sure to leave you zested and refreshed. Looking to impress with a different creation this year? The Prosper-licious Truffle Yu Sheng is here to stay- with its fragrant black truffle finding its way to your noses, even afar. Its konnyaku jelly (a rubbery jelly-ish japanese treat that is close to zero calories and aids in relieving constipation) is perhaps the reason why you wouldn’t be reminded of the usual salmon slices. Brimming with freshness, japanese food lovers shall rejoice this festive season for its homemade citrus sauce is tangy and refreshing and contains japanese elements such as the Mikan and edamame – such a mouthfeel indeed. 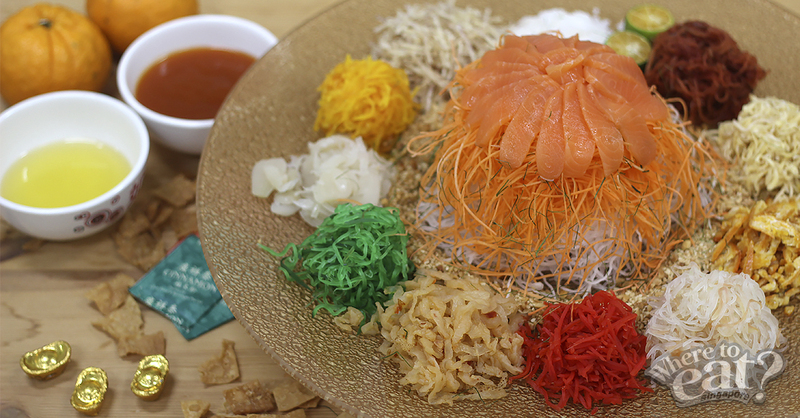 Bringing you a burst of flavours is Ding Tai Feng’s Prosperity Smoked Salmon Yu Sheng 发财鱼生, where modern twists can be tweaked through top-ups such as the all-time favourite Fried Salmon Skin, pine nuts or premium Smoked Unagi. 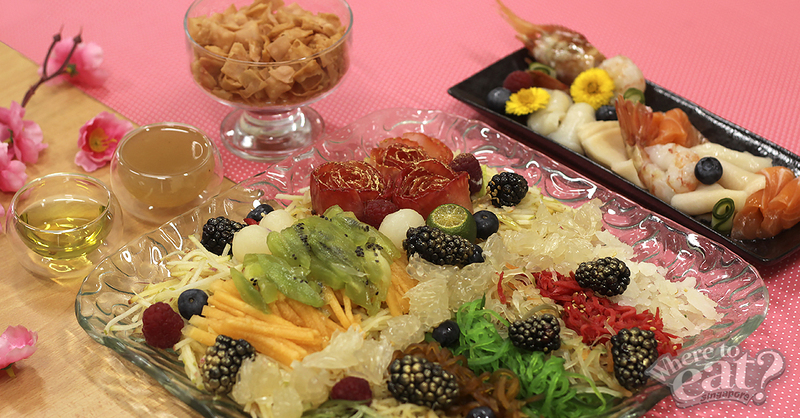 A vegetarian Yu Sheng option is available as well. 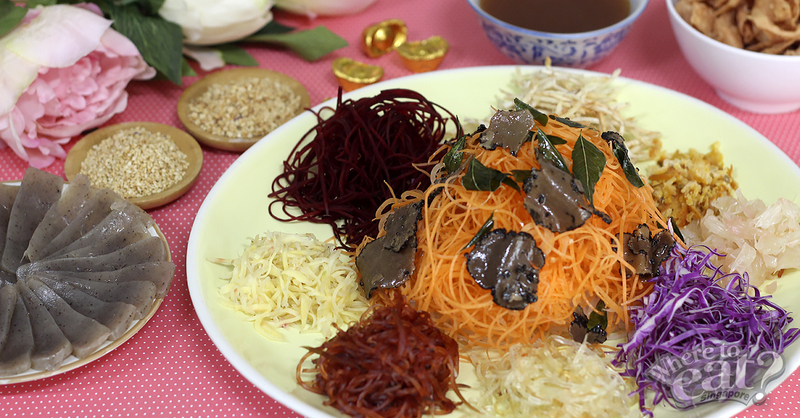 Akin to a healthy salad bowl, Sufood’s Auspicious Yu Sheng with Black Truffle Sauce contains a range of flavours, from the crunchiness of the yam crisps to the soft elegance of the truffle sauce – making the perfect light appetizer that further whets your appetite for your Chinese New Year indulgences. 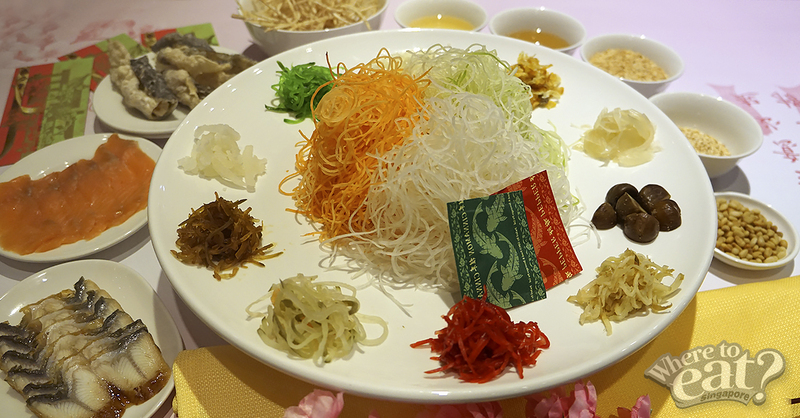 Twist up a flavorful taste of the Prosperity Yu Sheng with Putien’s signature seaweed from the city of Putian as you look to receive all of the blessings you’d want for an auspicious year ahead! 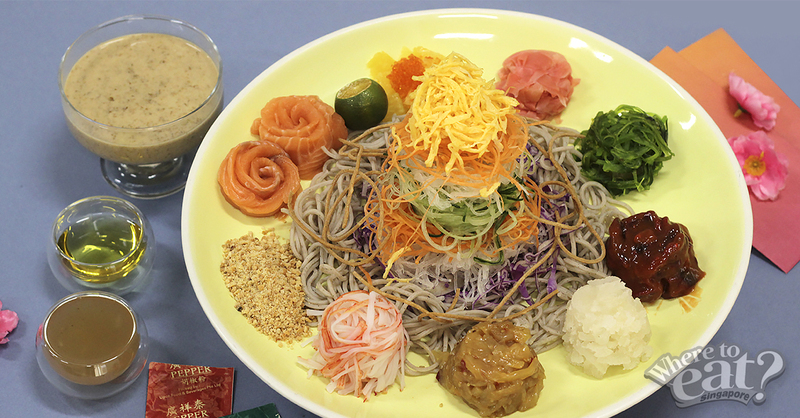 Taking the traditional Chinese New Year dish to new heights is Fujisoba’s Soba Yu Sheng – making it Singapore’s first-ever Soba Yu Sheng? With a generous medley of ingredients that comes with cold and fried soba noodles, it’s a definite steal at just $38.80. Available for dine-in and takeaway. 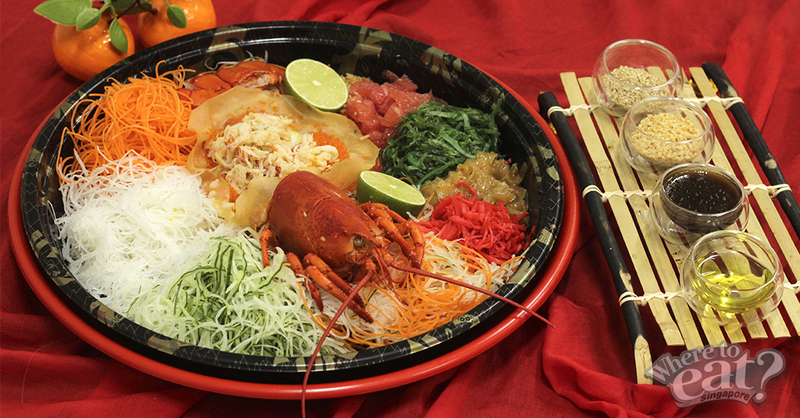 Offering whole lobster chunks made up to 550 grams of Boston lobster; tobiko; japanese kurage (jellyfish); japanese seasoned ginger and seaweed pickles; grounded peanut and sesame, Tomo Izakaya’s Boston Lobster Yu Sheng pulls together with a tasty blend of plum sauce and olive oil. Available for dine-in and takeaway. What’s a healthier option that features up to 12 types of fruits? 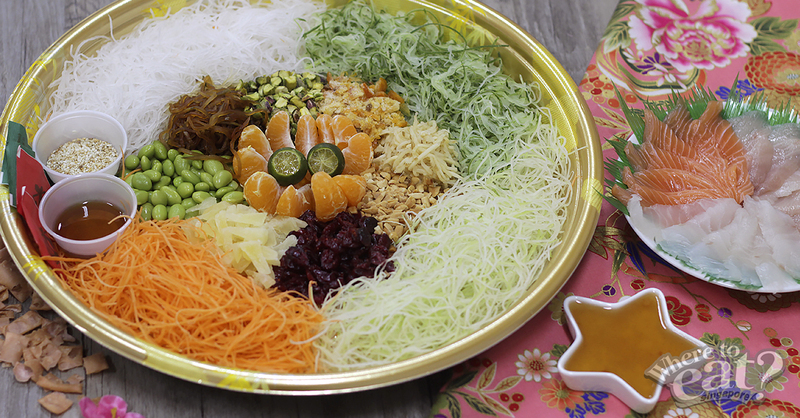 It’s the colourful fruity Yu Sheng that is sure to leave you smiling with sweetness all day. Sashimi add-ons are available. 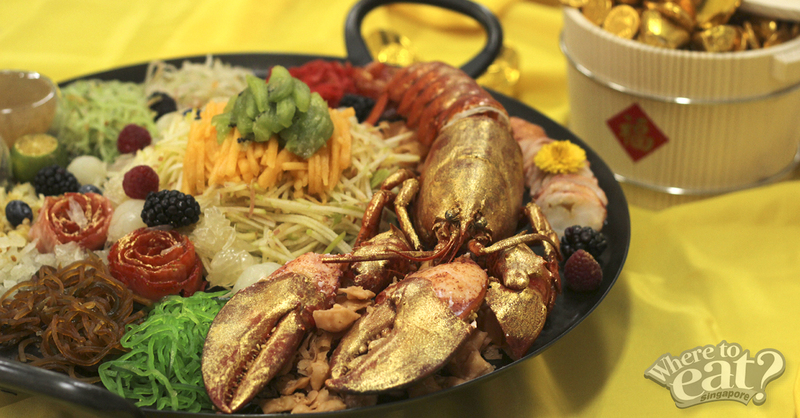 Nosh to your heart’s content as the sister restaurant of SENS Restaurant serves up a luxurious Golden Lobster Yu Sheng filled with a range of fruity goodness and additional lobster sashimi slices (available as add-ons)!